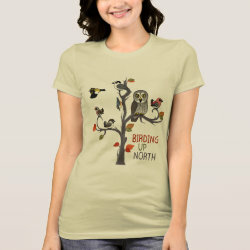 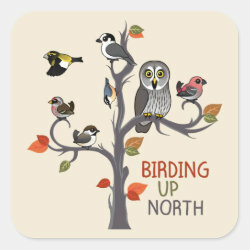 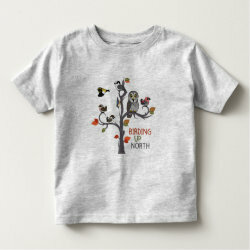 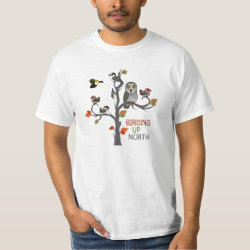 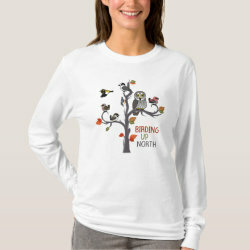 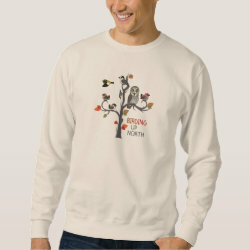 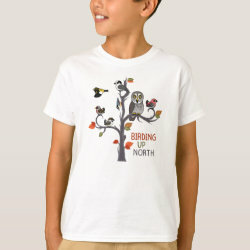 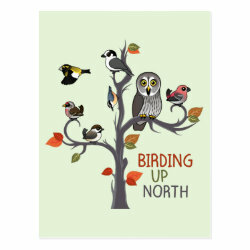 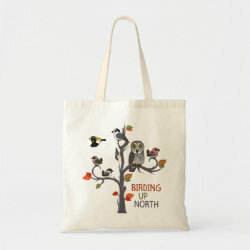 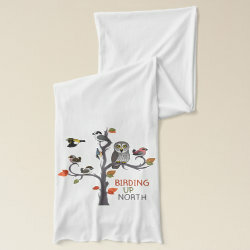 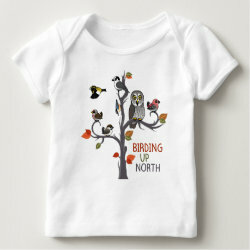 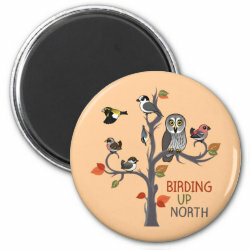 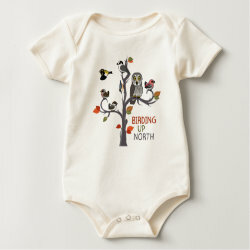 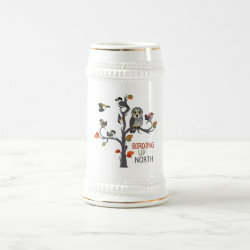 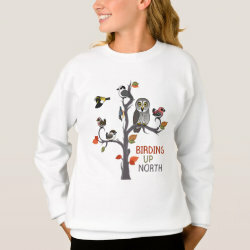 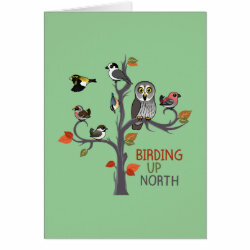 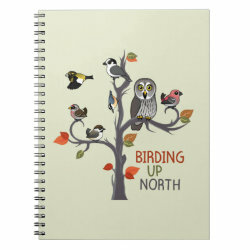 This cute design is for folks that like Birding Up North. 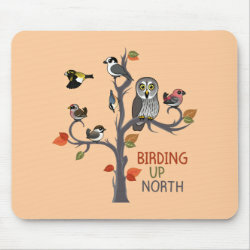 This might mean birding parts of Minnesota, especially north of the Twin Cities. 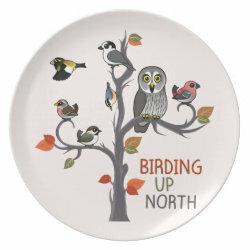 The birds in this Up North design evoke the birding hotspot Sax-Zim Bog; more... the species here are often on a visiting birder's wishlist: Boreal Chickadee; Common Redpoll; Evening Grosbeak; Canada Jay (previously known as the Gray Jay); Red-breasted Nuthatch; Great Gray Owl; and Pine Grosbeak.